Home Know Why the iPad, the HomePod and the Apple TV need a multi-user mode? Why the iPad, the HomePod and the Apple TV need a multi-user mode? We have been receiving many rumors about the possible arrival of a multi-user support system in both iOS and tvOS . But Apple has not yet decided to implement this mode on any of their mobile devices. In Apple's ideal dream world, we would all have a large collection of your brand's products as personal devices . Within its ecosystem, we would sit on the couch watching Netflix on the Apple TV while controlling the home automation accessories with the iPad Pro , chatting with the iPhone and reviewing our health on the Apple Watch. And if we need to perform a more complex task, we would always have a MacBook at hand. But is it really necessary to have a personal device of each class? How many iPad do we need? Yes, an iPhone is much more personal, but what about the rest of the products? 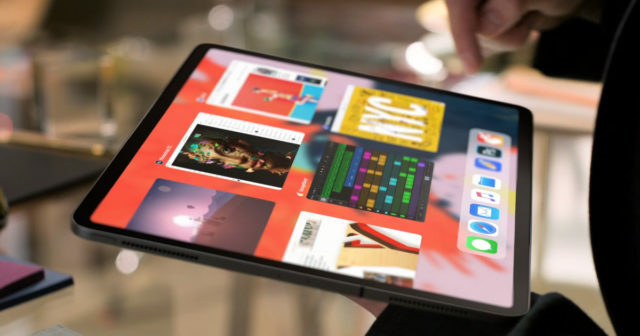 A multi-user system that allows keeping our projects, documents, applications and data separate would be wonderful for products like HomePod, iPad Pro and Apple TV. These are some of the reasons. The time has come when Apple must accept once and for all that users want and can share our devices . I know, I know! What a horror to allow someone to touch, not even touch our precious iPad Pro! Well, sometimes it's just about convenience, productivity, comfort or just saving some money. There is a great debate out there in reference to whether Apple's iPad Pro has become, or not, finally a computer. But one thing is clear: it is a device exclusively created for personal use , and not for sharing. In fact, if you lend your iPad Pro to someone, you could not use your email account or access your iMessage conversations . At least not immediately. And what is even more terrifying ... your content playback habits on Netflix would alter the algorithm of your series recommendations ... Oh no, no, please! 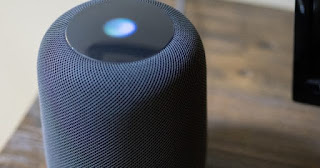 The Apple HomePod offers great audio quality, but also has great disadvantages compared to the competition of smart speakers in today's market. And, you will not be surprised to read, that one of these limitations is that it is not capable of recognizing multiple users. While we are sure that there will be many people happy to live alone with their own personal HomePod, many other people need multiuser support. It is true that many of the features of HomePod work perfectly for several users. Anyone can set a timer, request weather information, play a song ... But when we talk about adding events to the calendar, make calls, read messages, etc., it would be very useful to have a multi-user system that facilitates the work of data management. Surely you will have more than one television in your home, but each of your TV sets is not assigned to one person. Well the same should happen with the Apple TV. It is a perfect device to share through a multi-user mode. Luckily, some platforms and services such as Netflix and Hulu offer their users the possibility to create multiple profiles to store data separately . But everything would be even better if Apple adapted that philosophy through its operating system. With a multi-user mode, each member of the household would have the possibility to download their own applications, store their own data in them and much more. What do you think about whether Apple should, or not, implement a multi-user system on their devices?